Where products are labelled (Equivalent) you may receive a mix of brands, this allows us to second source to complete orders quickly. Photos for illustration purposes only, product may differ from the image shown. Please check product specification where listed to ensure correct parts are ordered. We only use manufacturers who are ISO credited to ensure the quality of the products that we supply are of the highest standard. Some of the brands we supply include Baldwin, Alco, Mahle, Mann & Hummel, Hifi to name a few. Gasket F Gasket G153, O Ring (2) Included. 1000's of part numbers added. 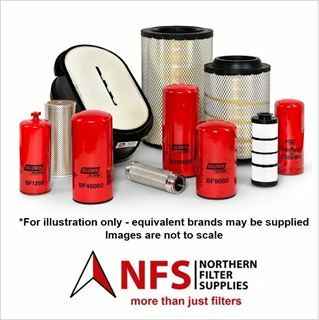 Copyright © 2019 Northern Filter Supplies. All rights reserved.